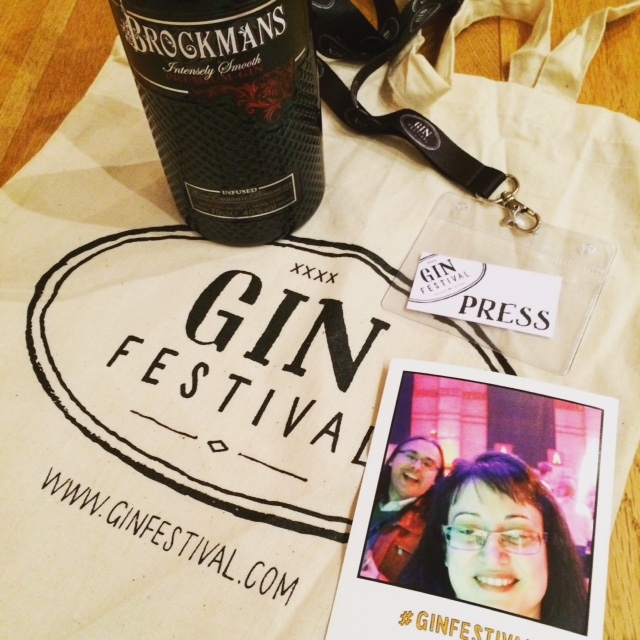 A Gin Festival tote bag came with the purchase of any gins or merchandise from the Off Licence. 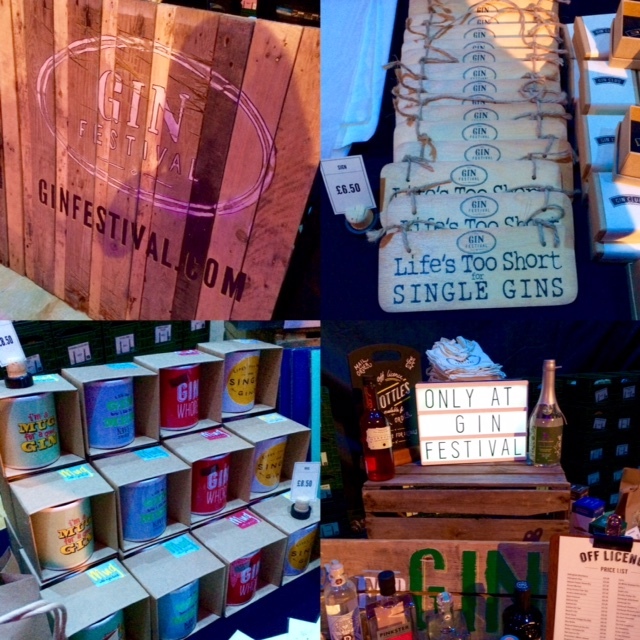 Gin bottles were on sale at festival prices and some great merchandise was on display, such as mugs, coasters and signs. 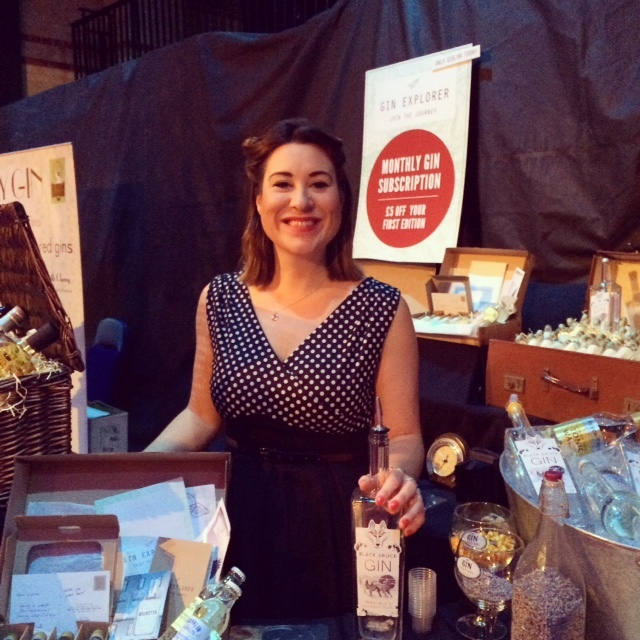 For those who wanted to purchase several bottles of gin, the festival offered a mail order service with free delivery. Very practical! 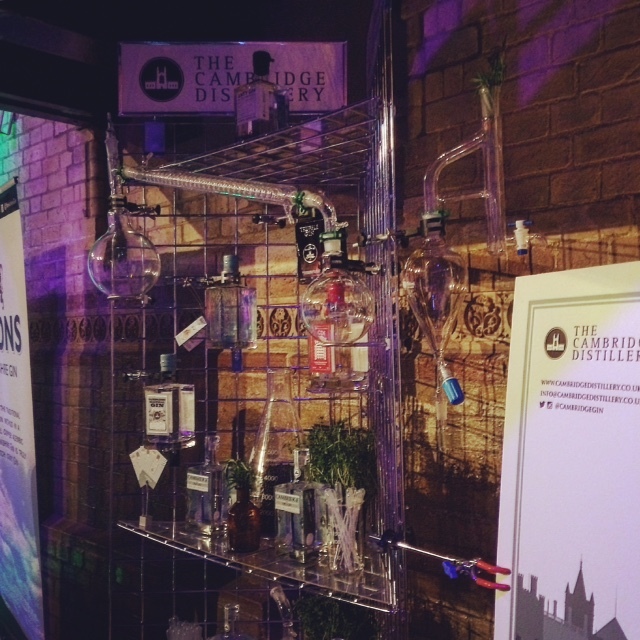 My first visit was to the Gin Explorer stand. 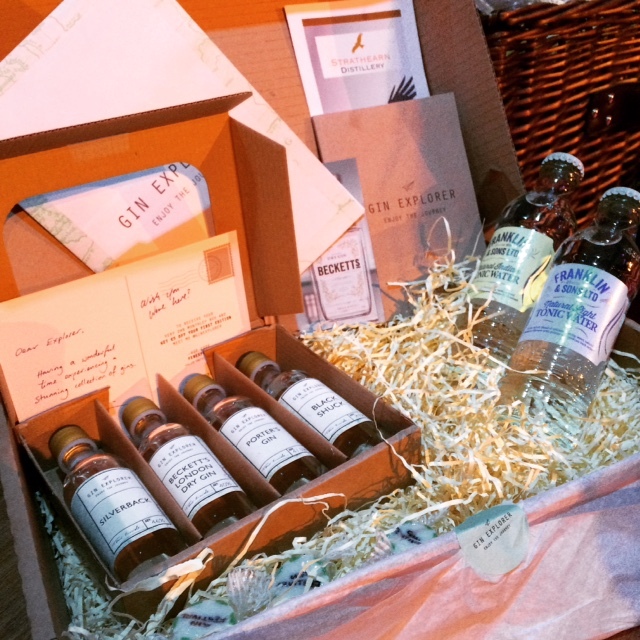 This is a new gin subscription service with the choice of receiving a monthly box of different gins (50ml miniatures), mixers and information on the gin’s heritage and origins. 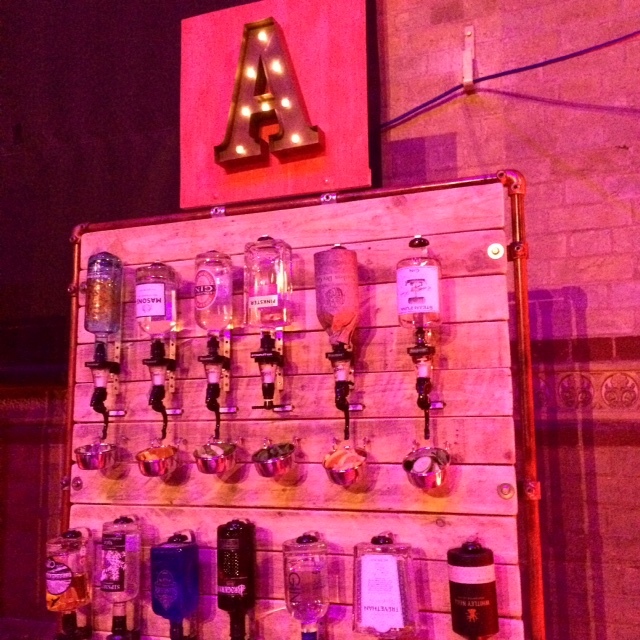 The travel themed display really took me on a gin tasting journey. 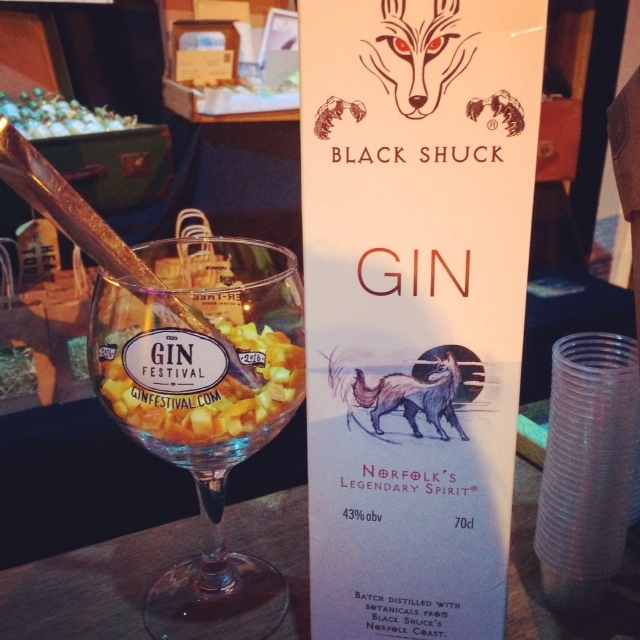 One of the excellent gins I sampled at Gin Explorer was Black Shuck by The Norfolk Sloe Company. It has become a firm favourite and I’m especially pleased that it’s so local. 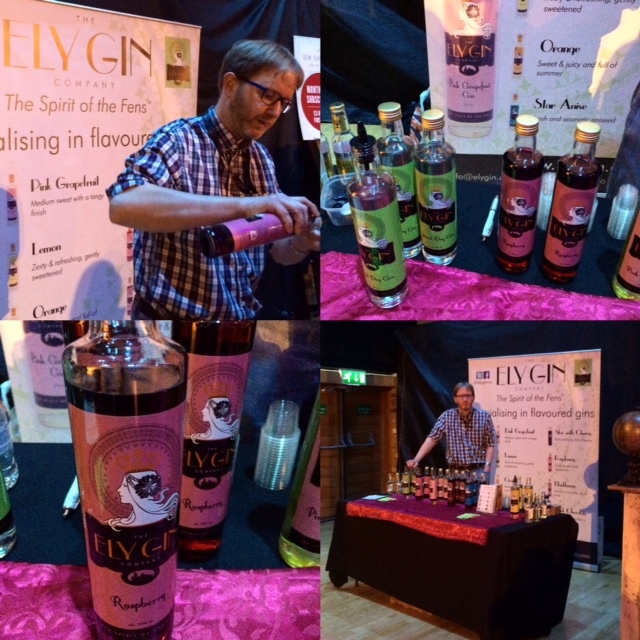 Another local brand was Ely Gin with its Special Dry gin and variety of flavoured gins, all made in the shadow of Ely Cathedral. 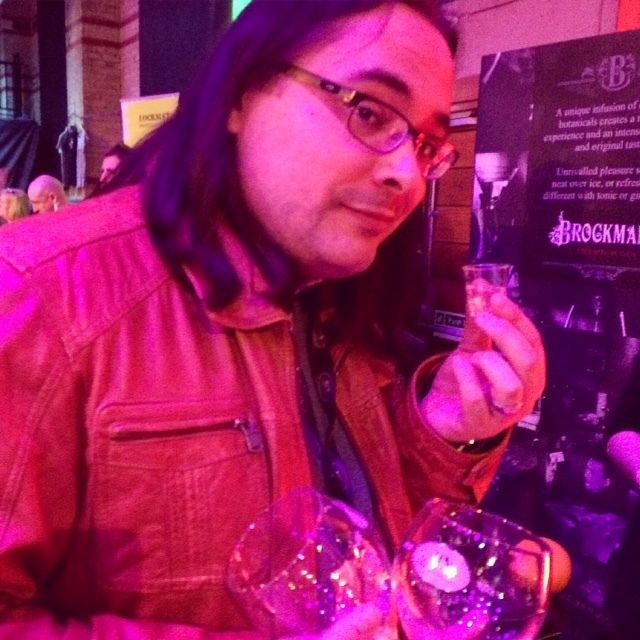 I explored the spirit of the Fens and tasted some flavoured gins, namely Raspberry and Dark Chocolate. However, I couldn’t get any more local than sampling some Cambridge Dry Gin, made by The Cambridge Distillery. 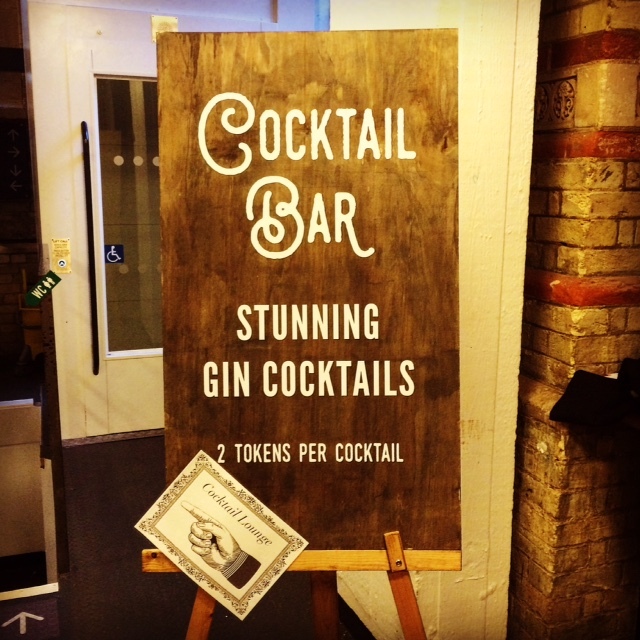 It’s an honour to have these makers of exclusive and innovative gins right here in Cambridge. Apart from their excellent Cambridge Dry Gin, The Cambridge Distillery offer such impressive spirits as Watenshi (the world’s most exclusive gin), Cambridge Seasonal Gin (with locally grown and foraged botanicals), Anty Gin (yes, made with ants), Japanese Gin (with traditional Japanese botanicals) and their new Truffle Gin (with truffles imported from Piemonte). 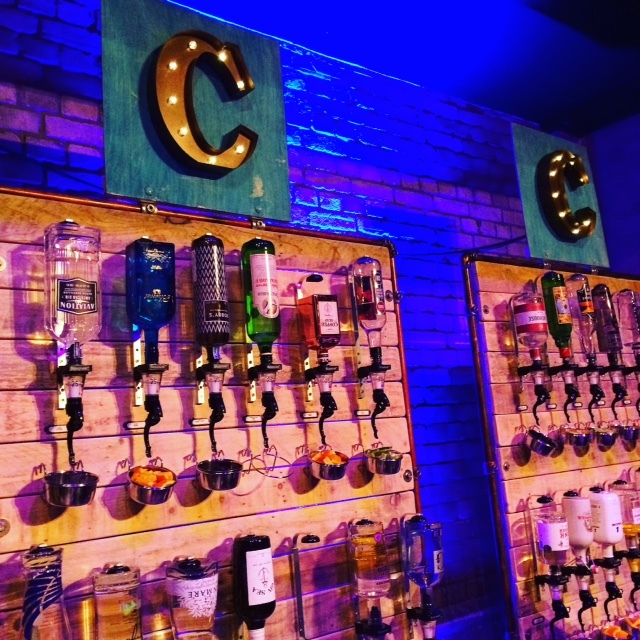 They also own and operate the Cambridge Gin Laboratory where gin tastings and experiences are held, including blending your own bottle of gin. 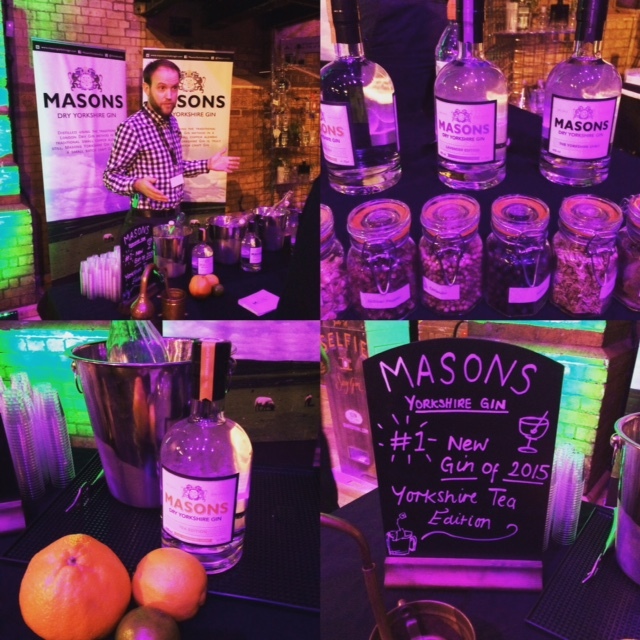 Other gins I had the pleasure to sample were Masons, Dodd’s, Sir Robin of Locksley and Adnams Copper House Dry. 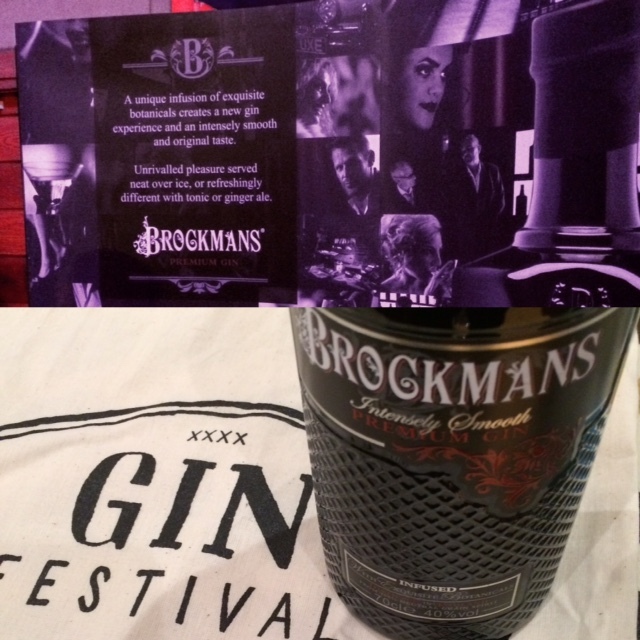 Paulo and I were so impressed with Brockmans gin, we bought a bottle to take home. It had a unique taste (must be the botanicals sourced from all over the world) with an influence of citrus and wild berry. We were drawn to the branding but it wasn’t a case of style over substance. We can’t wait to make the cocktails pictured in their gorgeous brochure. 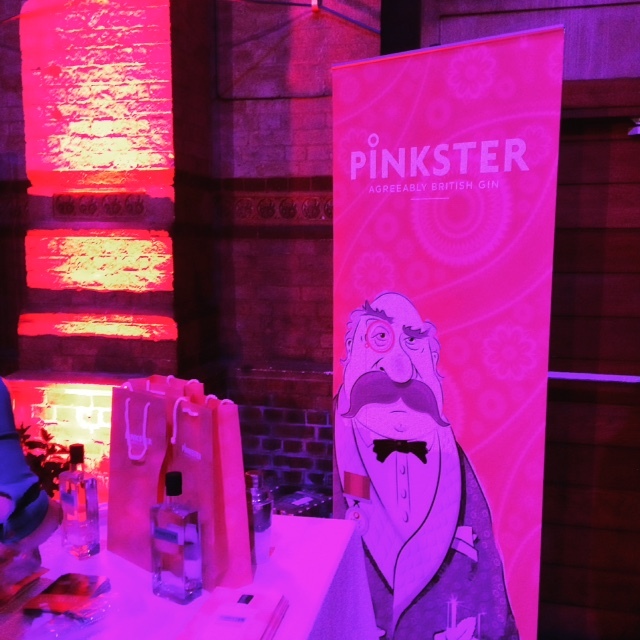 I was delighted to see another local gin, Pinkster, at the festival. 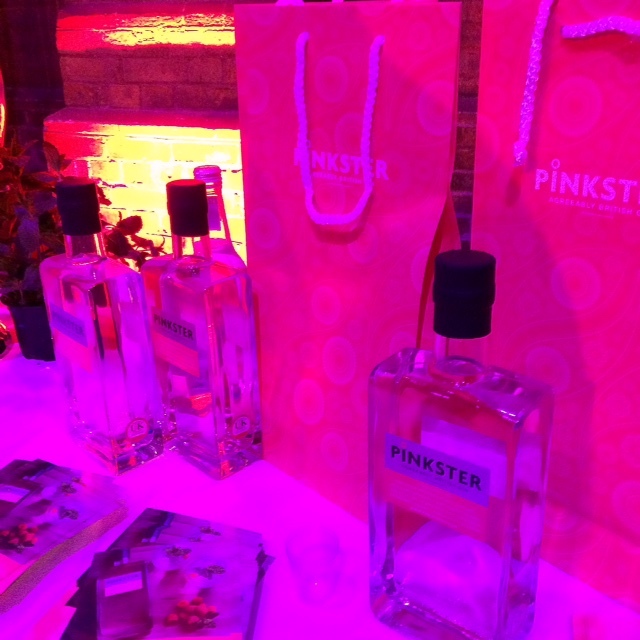 Pinkster’s hand-steeped fresh raspberries give the gin its pinkish colour. Those of you who follow me know it’s one of my very favourites (I have the 3L bag-in-a-box to prove it – ha!). 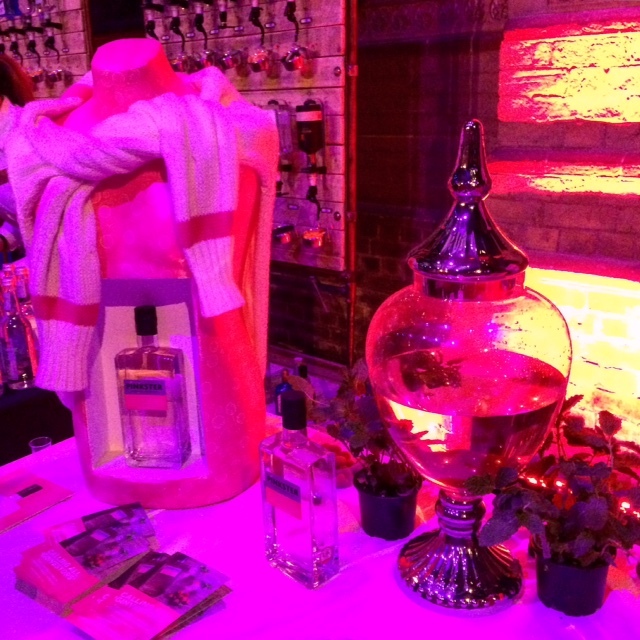 I wrote all about my visit to Pinkster HQ here. 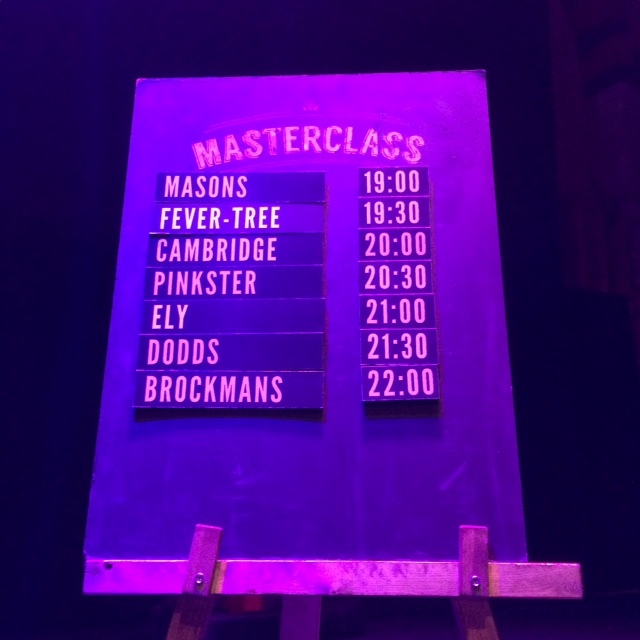 Pinkster were one of the 7 presenters of masterclasses offered throughout the evening. 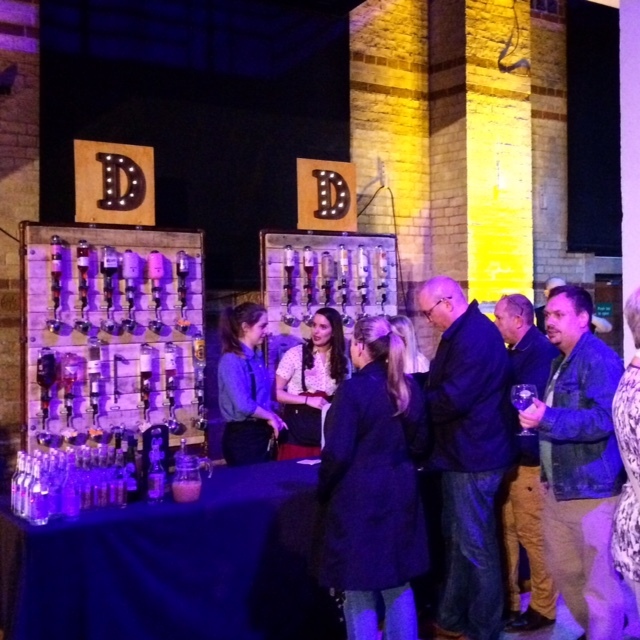 Others included Masons, The Cambridge Distillery, The Ely Gin Company, Dodd’s, Brockmans and Fever-Tree. 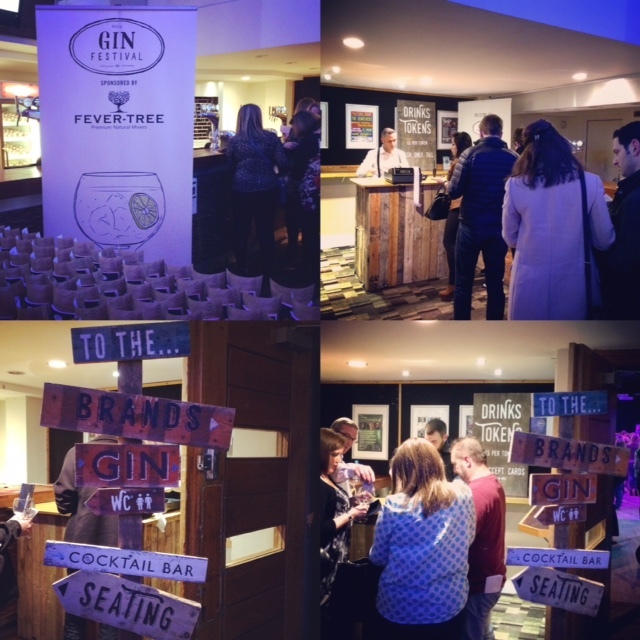 Of course, the Gin Festival wouldn’t be complete without Fever-Tree premium natural mixers. 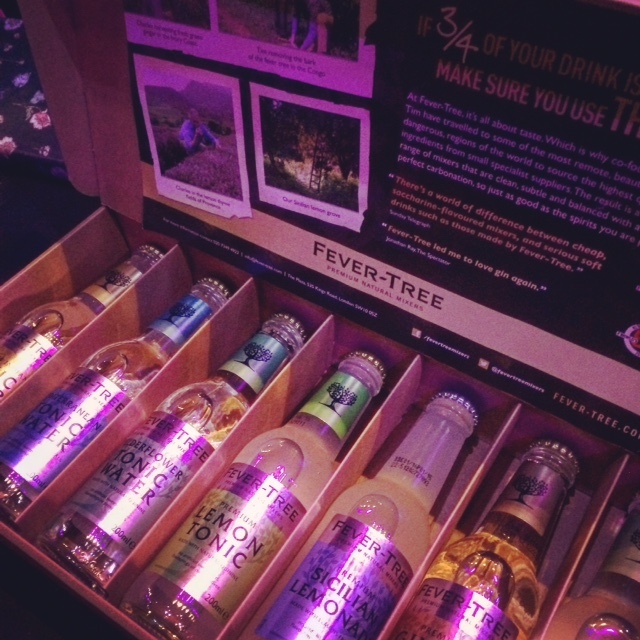 What sets Fever-Tree apart from others is its quinine of the highest quality from the “fever trees” of the Democratic Republic of Congo. The Gin Book recommended tonics or mixers to pair with each gin. 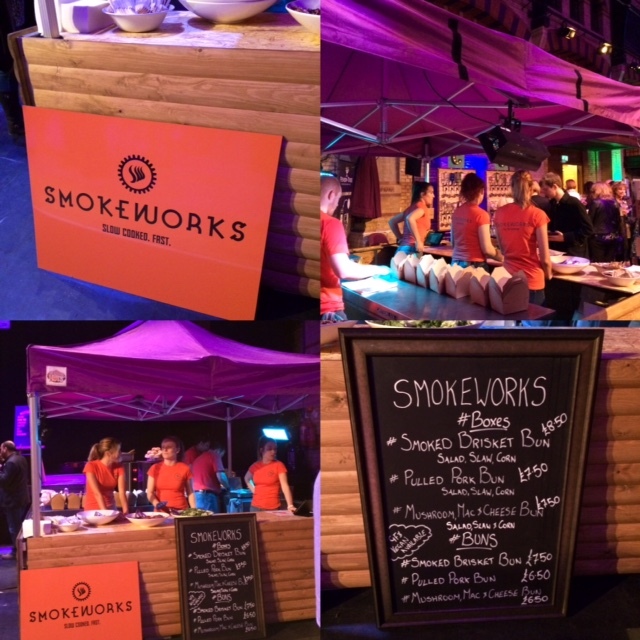 I was delighted that one of my favourite restaurants, Cambridge’s very own SmokeWorks, provided the food at the Gin Festival. 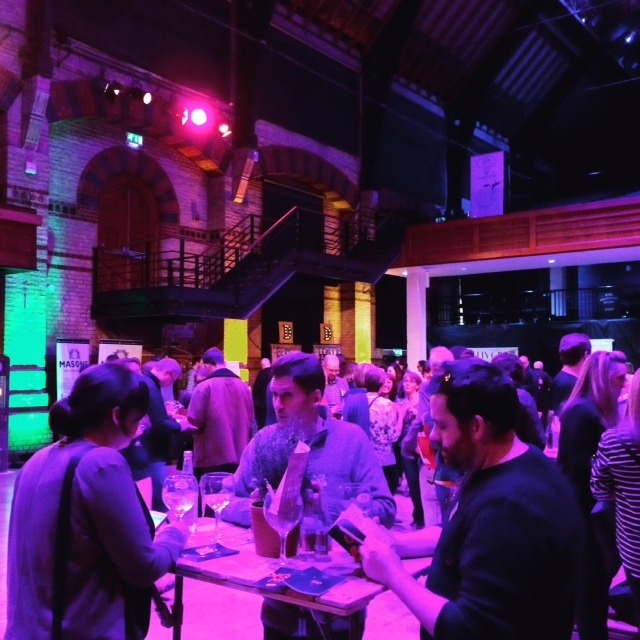 Coincidentally, we had our pre-festival dinner at their Free School Lane restaurant just around the corner from the Cambridge Corn Exchange. 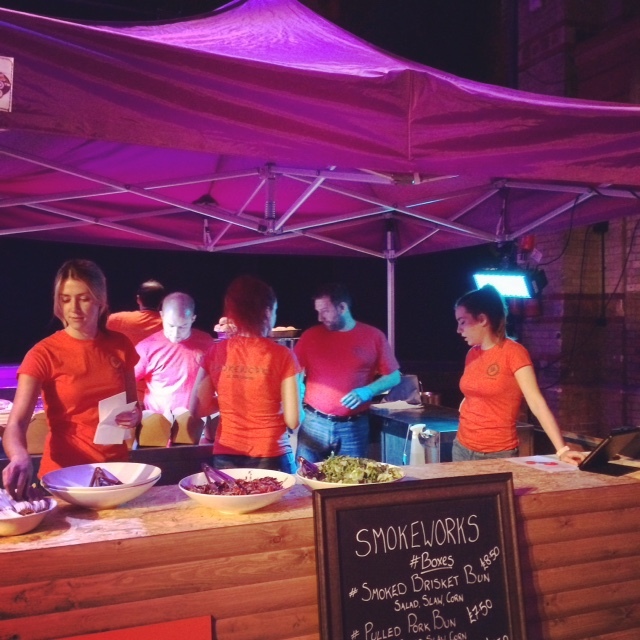 SmokeWorks were set up in a stand at the festival and their menu included delicious buns filled with smoked brisket, pulled pork or mushrooms/mac n cheese. If you wanted your bun with some sides (salad, slaw and corn), the whole order was served in a handy box. 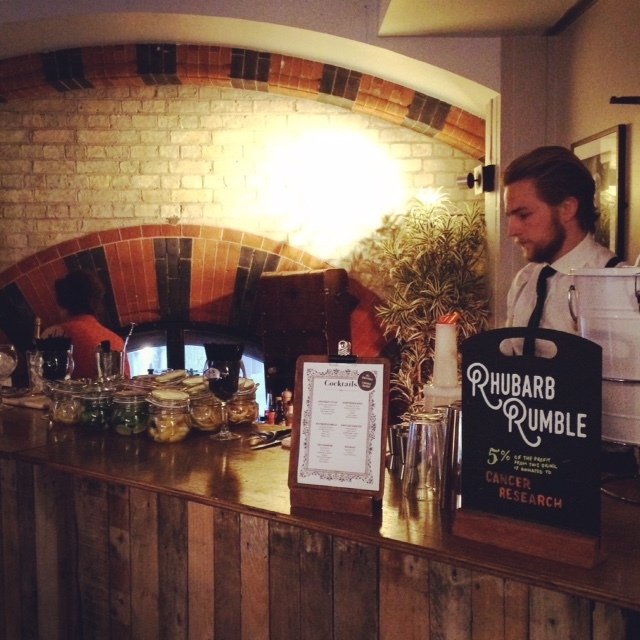 Perfect sustenance for a gin-fuelled event. 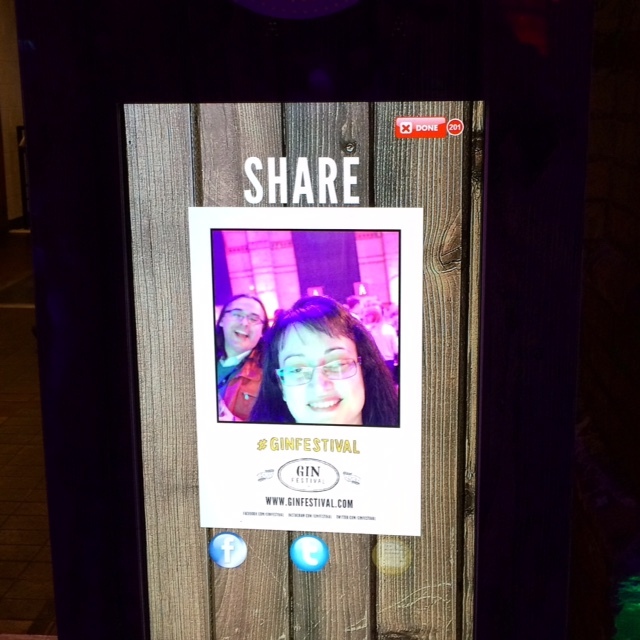 The selfie stand lent some fun to the event, with the option to post your selfie directly to social media or get a print out of your photo. Paulo photobombed me! 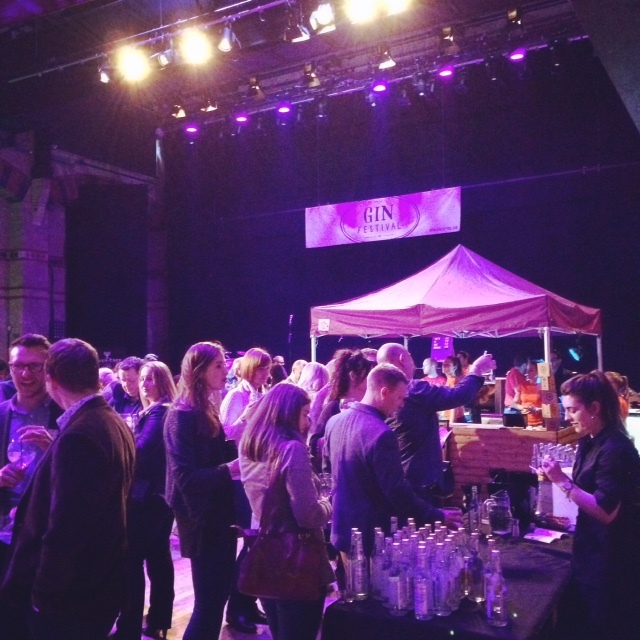 But it just shows how much we were enjoying ourselves at the Gin Festival. 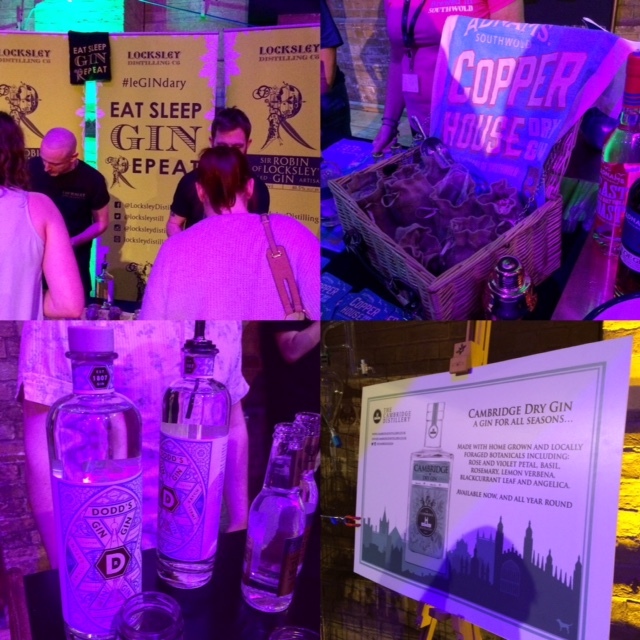 We attended the Gin Festival’s first session on the Friday evening and 4 more sessions took place over the Saturday and Sunday. 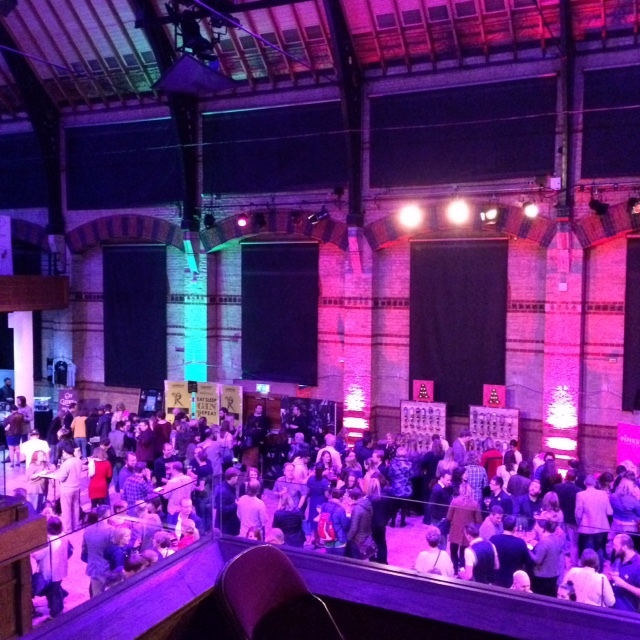 In all, thousands of people poured into the Cambridge Corn Exchange and shared their passion for gin. 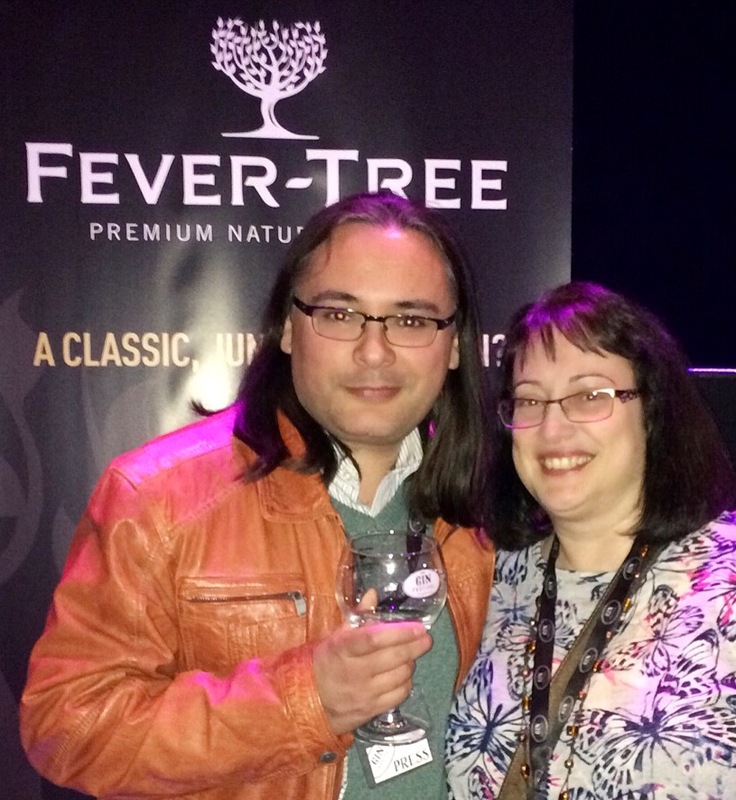 I certainly enjoyed discovering some truly amazing gins. 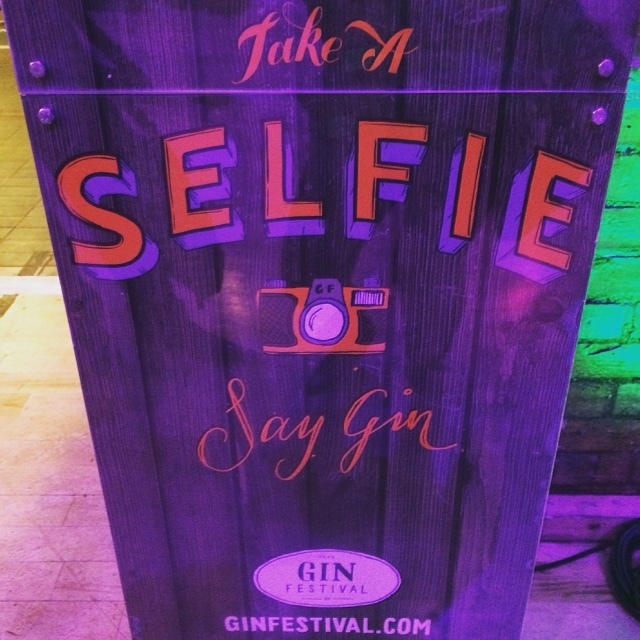 I can see why gin is Britain’s favourite spirit! 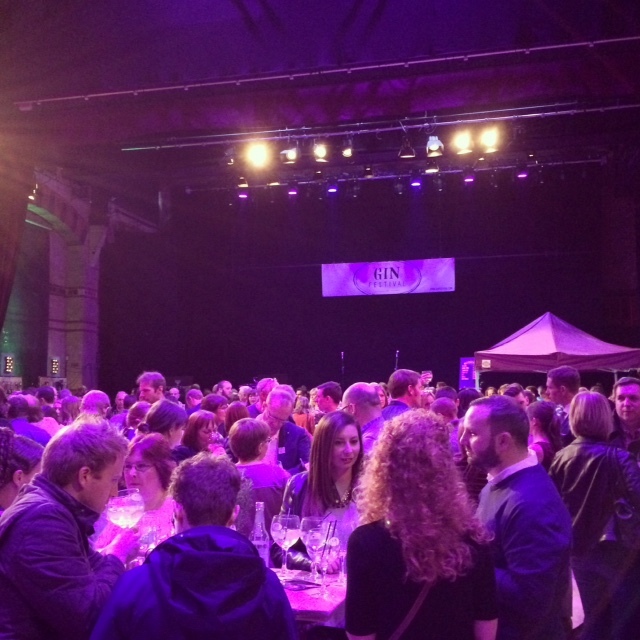 Gin Festival invited me to attend the event, which included admission for 2 people and 2 drink tokens. Although the tickets and 2 drinks were complimentary, all views are my own. I did not receive compensation for my review. 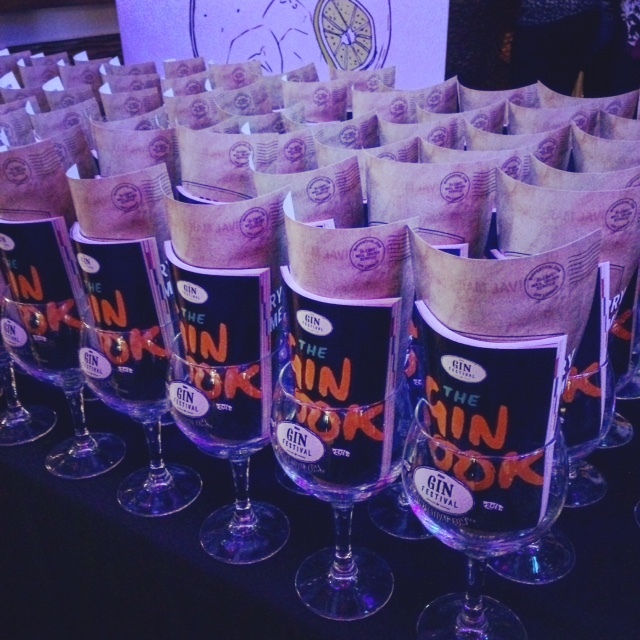 This entry was posted in Food Events and tagged Black Shuck, Brockmans, Cambridge, Cambridge Gin Distillery, Cambridge Gin Laboratory, Dodd's, Ely Gin, Fever-Tree, gin, Gin Explorer, Gin Festival, Masons, Norfolk Sloe Company, Pinkster, Sir Robin of Locksley, SmokeWorks, tonic by One Two Culinary Stew. Bookmark the permalink.